Portfolio Recovery Associates Harassment. Stop the Calls! 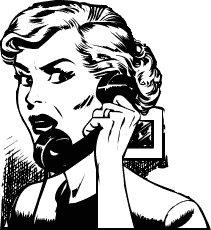 Are you receiving harassing Calls from 253-387-6024? Portfolio Recovery Associates PRA Phone Harassment does not have to stress you out. Does your phone ring every day, several times per day? Has Portfolio Recovery Associates threatened you legal action? Finally, do you wish there was a way to make the calls stop? You came to the right place. The Fair Debt Collection Practices Act, also known as the FDCPA, protects consumers’ rights in the context of debt collection. In other words, debt collectors must adhere to a certain set of rules when they are pursuing consumers who owe money. If a collector violates the FDCPA, you can sue the collector in court. The law allows consumers who have been victims of harassment from debt collectors to get the calls to stop in addition to recover statutory damages of up to $1,000, plus attorney fees and court costs. Are you receiving harassing Calls from 253-387-6024? Portfolio Recovery Associates PRA Phone Harassment does not have to stress you out.